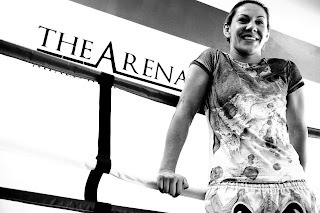 For those of you who don't know Cris "Cyborg" Santos she is the current Strikeforce 145lb Champion. 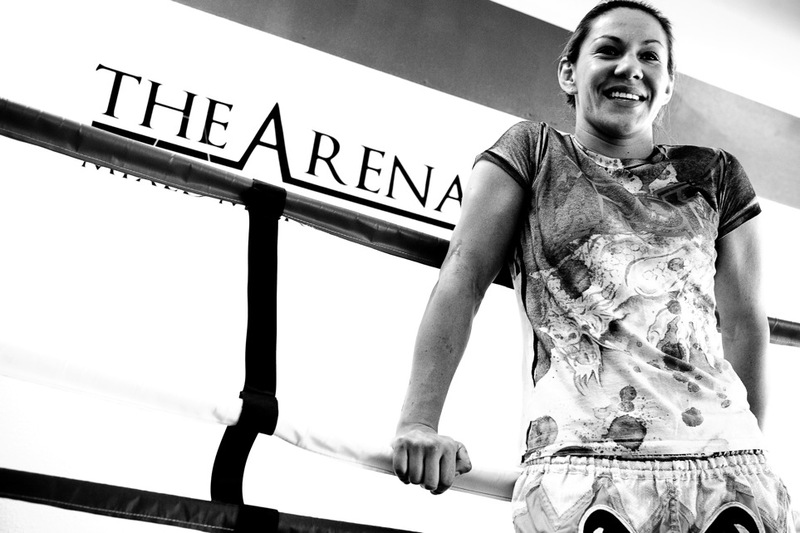 She won the title from Gina Carano, and has defended it twice already against Marloes Coenen, and Jan Finney. Cris is a dynamic fighter coming to the MMA scene from Brazil and the world famous ChuteBoxe Academy. She is a well rounded fighter and is currently ranked #1 in the world as the best pound for pound female MMA fighter per MMARising.com. So without further a due please enjoy this EXCLUSIVE interview I recently had with Cris "Cyborg" Santos. Chirs: Tell us a little about yourself? Tell me something that probably most people wouldn't know about you? Cris: I have a very Strong Personality, but yet I feel I am a very easy person to get along with. I also love coffee, I always have a lot of coffee in my diet weather I am training or not there is always coffee in my diet. Chris: Where do you currently train? And who are your main Trainers? Cris: ArenaMMA and an outside boxing coach. I also has a sygengry of people that help me prep each day. Also last but not least my husband helps with my schedule and training too. Cris: I loves to train for actual fights. My favorite thing to train is my Cardio without it I feel you aren't much of a fighter. As far as an art is concerned Mauy Thai is my favorite to train in. Chris: What is a day in the life of Cris Santos like? Cris: 8:30 - Wake up, Eat Breakfast (Oatmeal and Coffee), Walk the dog while eating. 9:30 - First Training Session. 6:00 to 9:00 - Cardio or Loves to Run at Night so I usually do one or the other. Chris: How did you get your nickname of "Cyborg"? Cris: I had my first fight for chute box and they were trying to find a nickname for me. For my second fight I was dating Evangelista Cyborg so I took his last name as my nickname and that was a huge responsibility for me and after that fight it just stuck. Chris: How does it feel to hold the belt in your weight class for Strikeforce? Cris: I never thought when I started I would have a belt, but I always wanted one, and I always wanted to fight Gina Carano so it was a huge night for me to be able to fight Gina Carano for the belt. Chris: How did it feel to fight Gina Carano who most have considered the face of Female MMA for many years? Cris: I was very happy to fight Gina Carano, I was considered the underdog in the fight so win or lose I felt it was a win win for me. I also wanted to prove myself to everyone. So it could only be a win win for me. Chris: I saw some of your training videos for your fight with Gina do you train that hard for every fight or was that one special? Cris: I always trains that hard. Chris: How does your being from and training in Brazil effect your views on American MMA and where it is going today? Cris: I am very happy of the growth of MMA in the US. A sport that was started in Brazil and I am happy to see it grow in America. There are a lot of people waiting for an MMA opportunity in Brazil that no one knows yet, but I know we will be seeing them in the near future. Chris: What are your views on the Gracie family and what they have done for MMA not only in America but also in Brazil? Cris: I am very thankful that they were the first to open the doors in America for MMA, but now it is up to this generation to carry the torch forward and keep it going. Chris: Where do you see yourself in 2, and 5 years? Cris: I want to keep my belt and continue to fight. In 5 yrs I want to open a gym, and train my own athletes to compete in MMA. Chris: What is your fight philosophy? Cris: I fight to keep my belt, and to be the best female fighter in the world. Also I fight to help my family. Chris: What would tell younger females who are getting into MMA and one day want to be a champion like you are now? Cris: Train hard, and be happy in what you want to do with your life. Chris: What are some of the things you like to do outside of fighting? Cris: I love to get my dog and just drive with no destination in sight just drive. Chris: If you weren't a Pro Female MMA fighter what would Cris Santos be doing? Cris: I would be doing physical conditioning, and would probably be a vet because I love animals. Also I like to dance so maybe a ballerina. Chris: What is your favorite quote that you try to live your life by? Chris: What got you into fighting? Cris: I have been into sports since I was 12yrs old. At 19 I was playing a game of handball with some other people and someone from ChuteBoxe saw her playing the game and told her she was to aggressive for the game so maybe she should think about fighting. That was something she had never been told before, so she took an interest in fighting. I played handball from the time I was 12yrs old till I was 19yrs old Handball is a team sport, I use to put everything into the game and when we would loose I would get so pissed. I took up fighting so it was just me in there and I have no one else to blame but myself if I lose. Chris: Are there any sponsors or people you would like the thank? Cris: TapouT, Chuteboxe Brazil, The Arena MMA, all of my MMA fans, All of my fans on Twitter, and MMA Conditioning. I would like to thank Cris Santos for this opportunity to interview her and the chance to let the world get to know her better. Also I would like to thank Flavio Scorsato for providing me with the picture of Cris for this interview and for gratuitously being willing to translate for me through out this interview with Cris. If you like the picture that is being used with this interview of Cris and would like to contact Flavio his information is below. If you would like to follow (or be a fan of) Cris "Cyborg" Santos and what she is doing next I have included some information below to help you keep up with her. game pokerqq online terlaris indonesia.